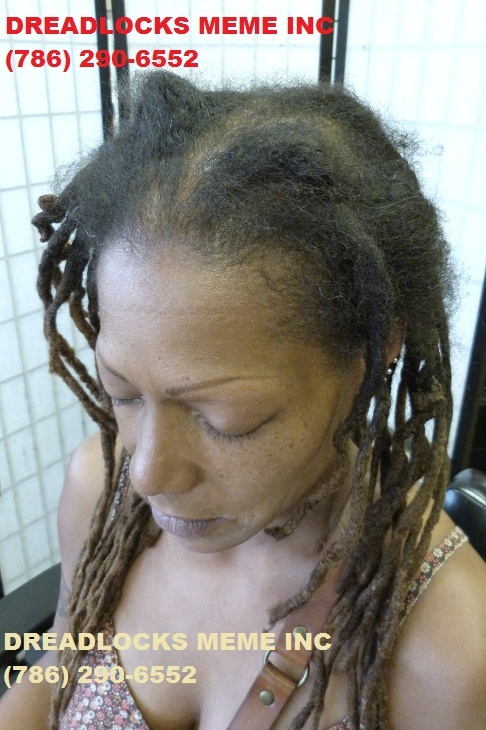 BEFORE REPAIR. 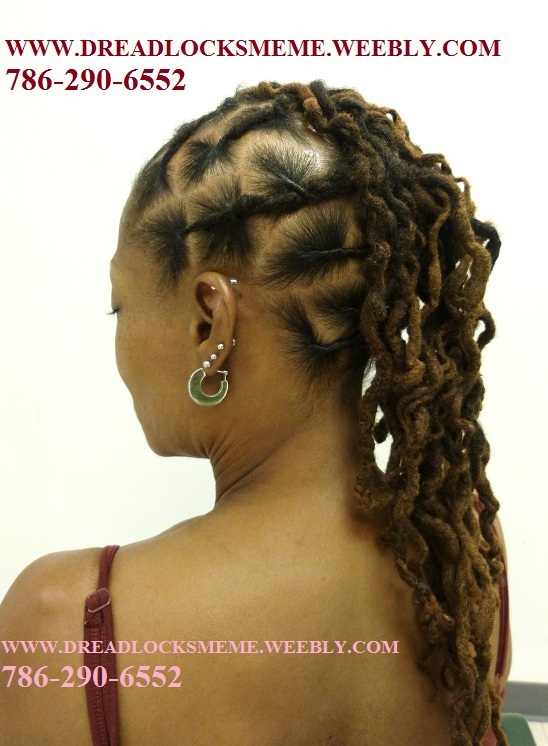 HER DREADLOCKS WERE NEGLETED FOR MANY MONTHS. 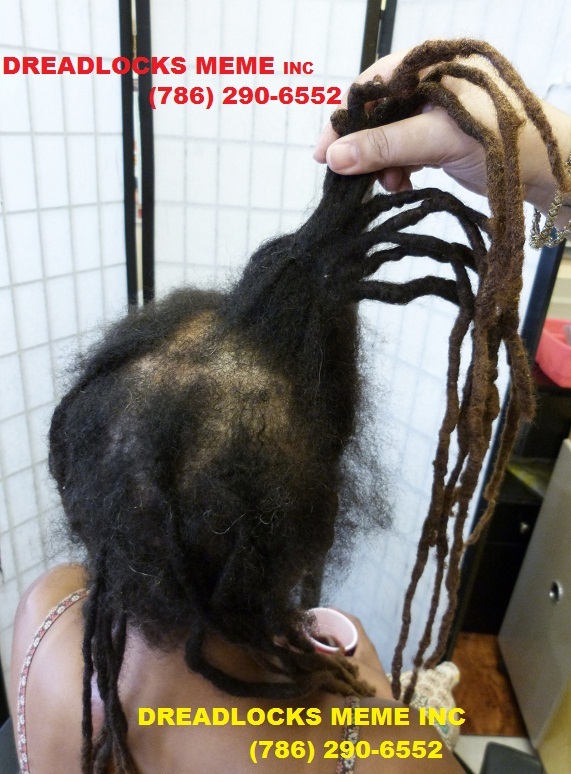 THERE WAS 8 DREADS JOINED TOGETHER & WE DETACHED THE DREADS. 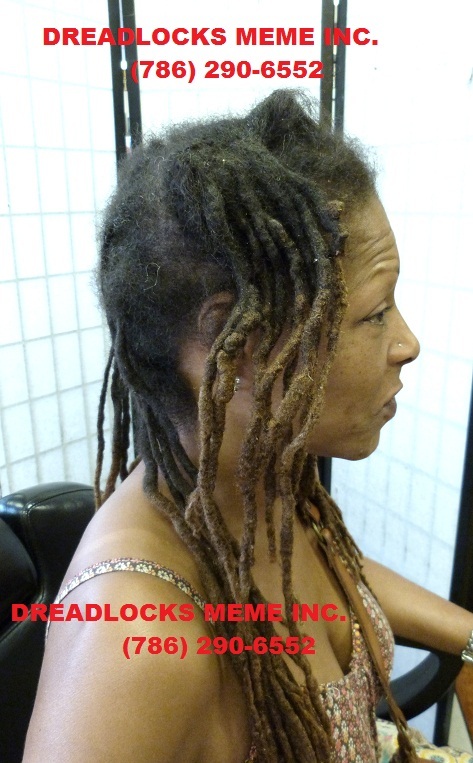 AFTER HER DREADSLOCKS WERE DETACHED & HER ROOTS WERE REPAIRED. 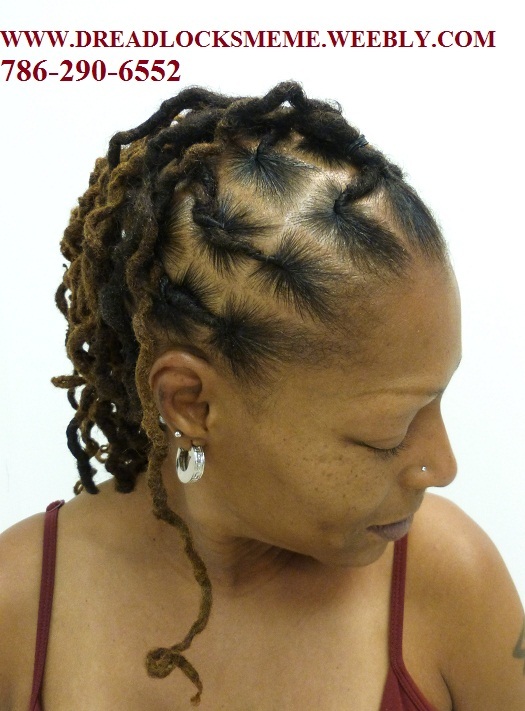 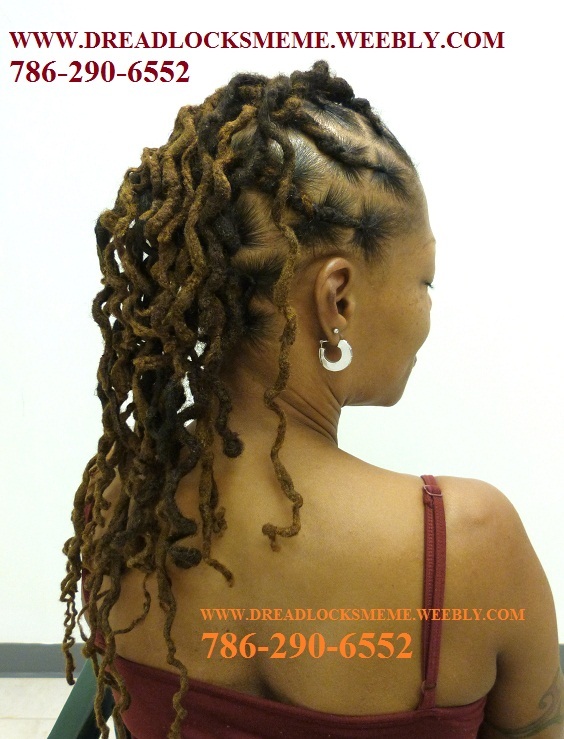 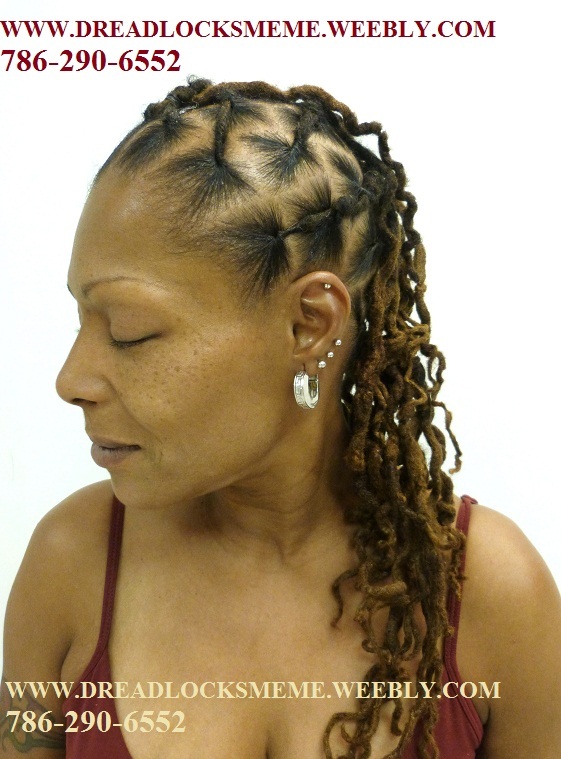 A STYLED WAS GIVEN TO HER NEW AND REPAIRED DREADLOCKS. 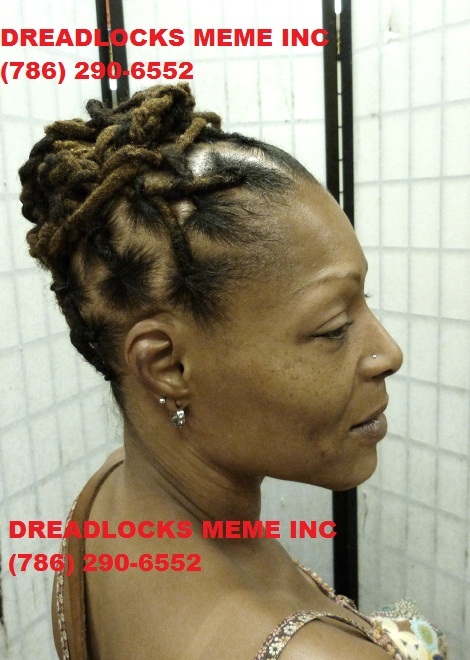 IT IS NOT NECESSARY TO CUT YOUR DREADLOCKS TO START OVER AGAIN IF IT EVER GETS TO THAT STAGE, YOU ONLY NEED TO GIVE "Meme" A CALL & SHE WILL MAKE YOUR DREADLOCKS BECOME BRAND NEW ALL OVER AGAIN. 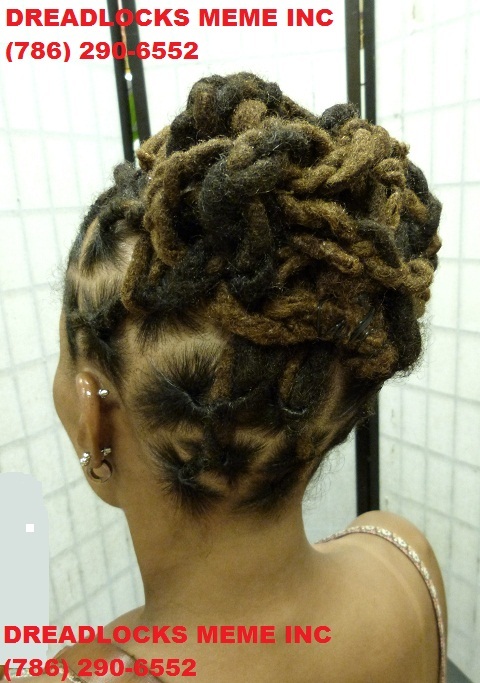 AFTER DREADLOCKS WAS FIXED AND STYLED..
day, a client can pay each day they come to the Salon to complete the Dreadlocks. 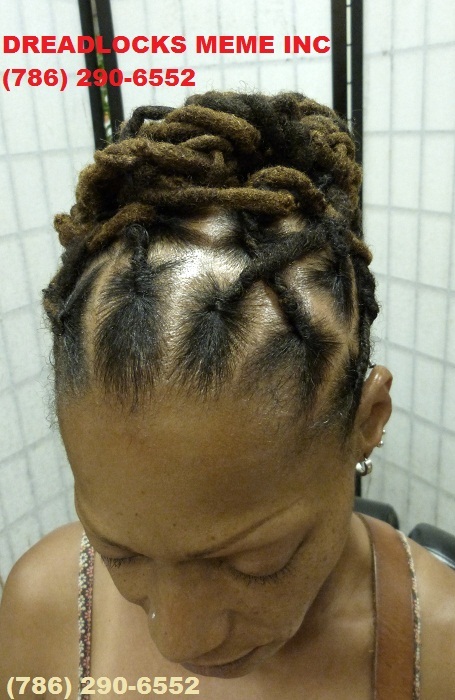 The Starting price is $400.00 & Up to do these type of Repairs.